Our Dental Implant Dentists in Castle Rock, CO Can Help You Get The Smile That You Deserve! We provide our patients in Castle Rock, CO the best options for dental implants. In the past, people had to rely on dentures or bridges in order to replace their missing teeth. Dentures and bridges remedied the appearance of a lost tooth, and they could be used in place of real teeth for chewing and talking, but they could not prevent bone loss and other issues. Dental implants offer people numerous benefits to avoid the use of dentures, bridges and experiencing bone loss. Dental implants involve using an anchor that is secured in the jawbone and a crown sits on top of this anchor to look, feel and function like a real tooth. Dental implants match surrounding teeth in color and proportion. To the naked eye, a dental implant looks like a real tooth. This helps to improve the look of a smile. Eating—Dental implants help patients to chew food without experiencing food particles getting trapped between teeth. A dental implant is permanent and stays still while eating, so it performs just like real teeth. Facial symmetry—Bone loss occurs when a person loses a tooth because it is not anchored into the jawbone. This is why implants help to preserve bone mass. When one side of the jaw is without a tooth, partial bone loss can affect facial symmetry. It can also affect a person’s bite, which affects dental hygiene and can causes issues, such as headaches. Improved speech—It is difficult to talk with missing teeth. Implants help patients to speak as they once did. Dental hygiene—Missing teeth offer more areas of the mouth for food particles and bacteria to become lodged. This leads to gingivitis and other forms of dental disease. Oral health has been linked to overall health. Bacteria can enter the bloodstream and all of the organs by entering the bloodstream through the gums. Durability—Implants often last an entire lifetime. Permanence—Because dental implants are permanent, they obviate the need to remove them for cleaning and for other reasons, which means that they won’t come loose either while enjoying the company of someone else. 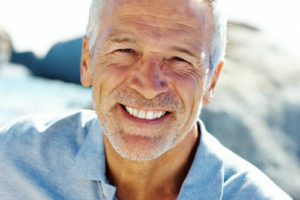 Dental implants are a popular option amongst many. They have a general success rate of 98 percent, which makes them a favorable option for dentists as well. If a patient can undergo an extraction or surgery, they are usually a good candidate for dental implants. There should be enough bone mass for the post to be anchored into, and patients should have good dental hygiene to be considered for a dental implant. People who smoke, suffer from diabetes or heart disease and suffer from other conditions are not generally considered good candidates for implants. The implant dentist in Castle Rock, CO will discuss whether you’re a good candidate and then your individual treatment plan. Dental implants require surgery, so it is necessary for those who are trained and experienced to lay out a detailed treatment plan for oral surgery. Because dental implants need to be placed within the bone, the first step is referred to as a “tooth root implant”. This is where a small titanium post is placed within the bone socket where the missing tooth once was. The bone needs to heal around the post so that it is effectively anchored in the jawbone. This process can take anywhere between 6 and 12 weeks, depending upon the person and other factors. When this post is firmly in place, a connector post, which is referred to as an “abutment”, is attached. An impression will be taken of your teeth. This impression lays out the arrangement of your teeth, but it also helps the dentist to create a substitute tooth, which is known as a “crown” or a “cap”. Once this tooth has been made, it is secured to the connector post. 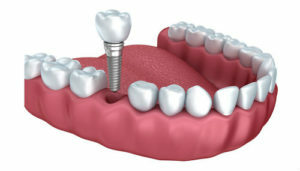 Dental implants can be treated like ordinary teeth because they take the place of ordinary teeth. A dental implant is a permanent solution that needs to be brushed and flossed like an ordinary tooth. Use of mouthwash and other methods of oral hygiene should be used or followed to maintain optimal oral health. The longer you wait, the more bone loss you are likely to incur. Schedule your appointment today with a dental implant dentist in Castle Rock, CO, and secure your option of getting a dental implant before it’s too late.